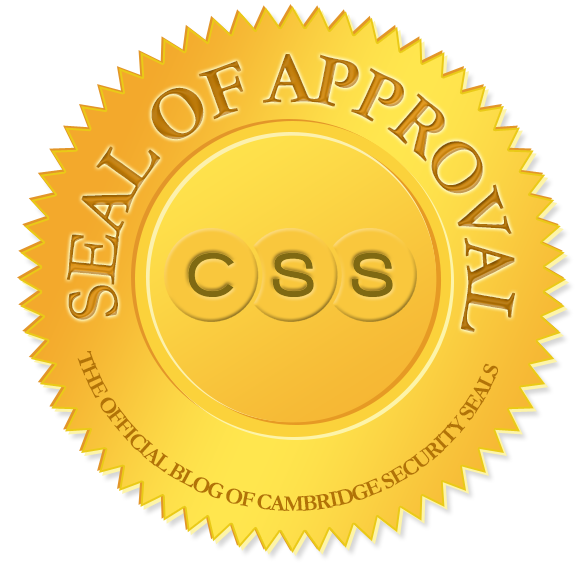 Cambridge Security Seals' blog, Seal of Approval, provides customers with information on company products and services and further contributes to the website's role as a resource center. There are several important factors to consider when selecting a tamper-evident plastic security seal. 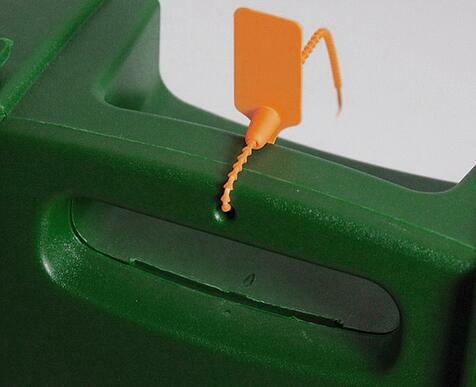 Plastic seals are the most commonly used tamper-evident devices across a broad spectrum of markets and applications, including such everyday uses as securing truck trailers, tankers, containers, totes, cash & jewelry bags, utility meters, and fire extinguishers. Offering an extensive array of seal types and sizes, our friendly team of experts at CSS wants to help you choose the most effective and appropriate seal for your particular application. In this post, we take a closer look at several distinct types of plastic seals and their specific features and benefits. Adjustable-length seals are the most versatile of plastic seals in that they come in a variety of lengths and strengths, and can be cinched tight to effectively secure objects. These multi-purpose seals are used across a variety of industries, including the transportation, airline, supply chain, logistics, and loss prevention industries. Their adjustability, as well as their extensive print area, makes them a practical solution for a multitude of purposes, including securing trailers, railroad cars, cabinets, ballot boxes, evidence, and valuables-in-transit. Fixed-length seals deter tampering by featuring a highly-visible and secure single locking position at a specified length. The most common versions of these seals are truck seals, twin tote seals, and padlock seals, which provide an excellent tamper-evident security solution. Fixed-length seals are especially effective and popular in the transportation, supply chain, logistics, and loss prevention industries, particularly where the print area requirements are minimal. Fixed-length seals, whether plastic truck seals, twin tote seals, or padlock seals, are considered more tamper-evident due to their single locking position, which offers a more easily visible check on the integrity of the seal. Although adjustable seals have excellent tamper-evident features, users must be aware of the need to cinch the seal as tightly as necessary for the particular application to eliminate any circumvention of a loose seal. In addition, if the adjustable-length seal is not cinched tight, it leaves itself open to someone cutting it off, getting into which is now unsecured, and then reapplying the (now shorter) security seal. To address this issue, many adjustable seals contain visible indicators that will tell you if a seal has been cut and re-sealed; however, these indicators are usually visible only upon close manual inspection, which is not always part of the receiving protocol. In the case of a fixed-length seal, the integrity indication is considerably simpler: the seal arrives either locked or un-locked. Once a fixed-length seal is broken, it cannot be reapplied. 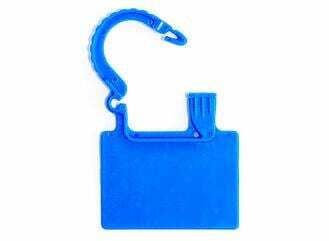 A plastic padlock security seal is a specific type of fixed-length seal which is commonly used to secure meters, cabinets, catering carts, and drums. 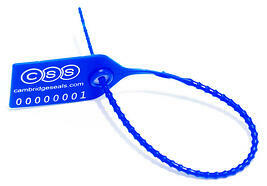 These uniquely shaped fixed-length seals feature a larger print area for displaying additional information, and an exacting fit for certain applications. Padlock seals have become the seal of choice for discriminating users in many security-conscious industries, such as airlines, food service, medical, and pharmaceutical. Security seals serve two primary and somewhat related purposes. They are a trusted and cost-effective solution to deter tampering and theft, and they help provide a sense of security and safety. The various different seal types are each designed to serve a distinct purpose, and selecting the right seal for your application means understanding each style’s distinguishing factors. Aside from length and seal type, the tensile or break strength of a seal is an important consideration. A seal securing a first aid kit will most likely require a low break strength to provide the security of a sealed kit while offering quick and easy access. In contrast, a seal used to secure a tanker truck in extreme weather conditions would certainly benefit from a considerably higher break strength. Plastic security seals have break strengths that range from UL Certified seals most commonly used to secure fire extinguishers, which break at less than 15 pounds, to extremely strong seals that require 150 plus pounds of force to break. Understanding the desired break strength in your specific application is critical to selecting the most appropriate seal and a key component to a successful security program. For a more lengthy exploration of why choosing the right seal is important and how to approach the process, we recommend this article in Inbound Logistics. Although the article was published a few years ago, it remains as relevant as ever. Put CSS’s decades of industry experience and engineering know-how to work for you! Our dedicated team of security seal professionals are always happy to educate and guide customers through the seal selection process. We are happy to serve as your resource, and encourage you to feel free to contact us with any questions.